MagView offers extensive reporting options to fit the needs of any radiologist. 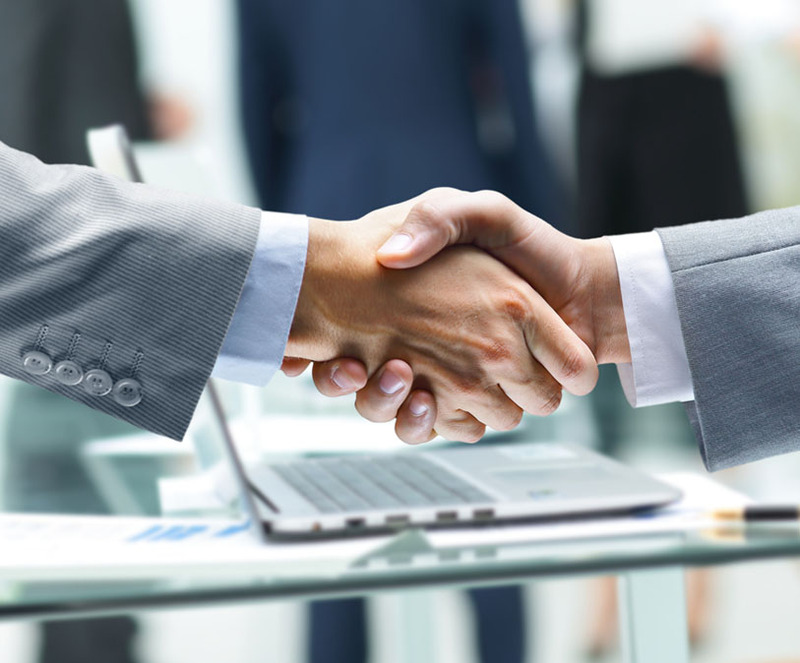 Reports can be transcribed and dictated, or standardized based on BI-RADS terminology and the BI-RADS reporting system. Allows the radiologist to focus on image interpretation and patient care. 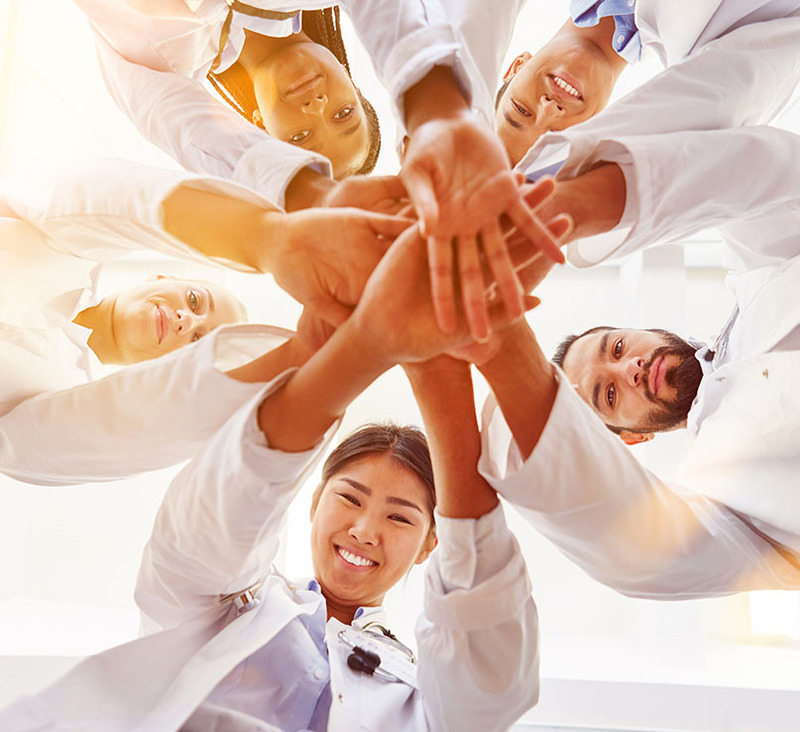 "We were able to reduce report turn-around time to 24 hours for most cases due to the radiologists signing the reports in real time." Our proprietary algorithm creates complete, clean and concise structured results. Includes macros, user-defined notes, and structured menus for all breast imaging, interventional and DXA procedures. 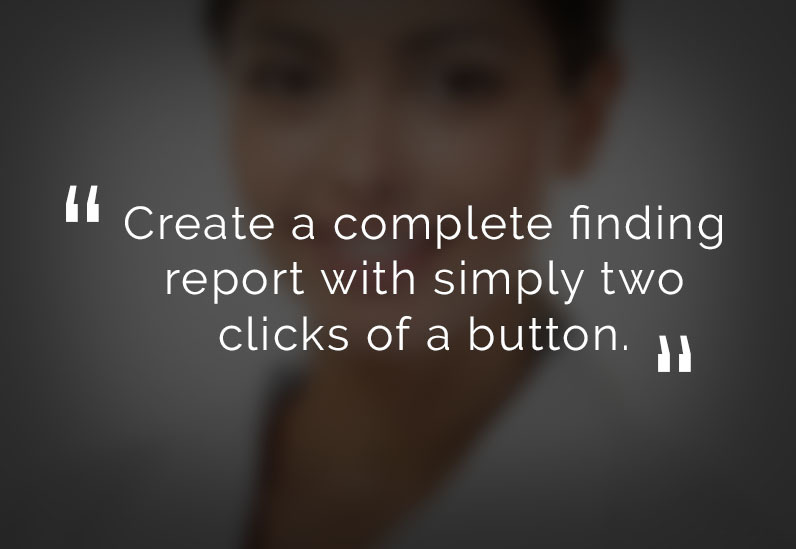 Imagine creating a complete finding report with just two clicks of a button. 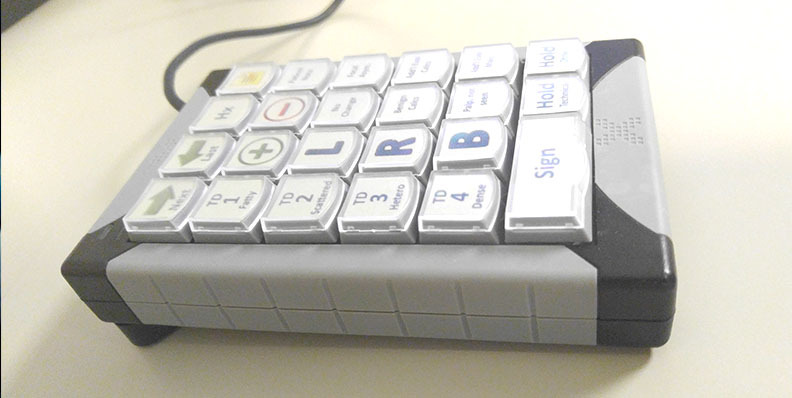 It is that simple with the screening keypad. Select the tissue density and then sign for BI-RADS 1 cases. Just a few more clicks can provide a complete BI-RADS 2 or BI-RADS 0 report as well. Even practices that create some or all of their finding reports in an outside system, MagView provides an automated tracking, outcome, and follow-up solution. We collect MQSA-required data elements from your reports via extraction, and we track the patients in MagView through the continuum of care. If you want the benefits of a structure reporting environment with the flexibility of voice dictation for difficult or unusual cases, you can utilize the power of a Dragon. Nuance’s Dragon Medical One integrates seamlessly with MagView, empowering readers to have multiple options for creating finding reports. In-application integration with Dragon Medical One edition. Automatically insert patient history and structured information. Capture MQSA tracking data as part of radiologist workflow. MagView enhances your workflow, with multiple tools to create and send your reports. The automated sections and configurable macros take the chore out of reporting, allowing your readers to focus on what’s important: image interpretation and patient care. MagView supports several different workflows for generating results reports. No matter your method for generating results, MagView automatically captures MQSA-mandated data for your medical outcomes audit. "Radiologist reporting in MagView was much more streamlined and we had locums say MagView was the most user friendly." Industry’s most flexible point-and-click results engine. Improves turn-around times with one-click negatives, macros, and canned notes for each radiologist. Builds complete, clean, and concise structured results that are BI-RADS compliant for all breast imaging. Safeguards against incongruent or missing data elements and ensures MQSA-tracking data is captured. Flexibility to make changes to any text in the report before signing. The ultimate in reporting efficiency, MagView’s Screening Pad offers quick and easy results for more than 90% of your screening cases with the push of a single button. For additional details about the screening keypad solution, see the Screening Pad section below. Our Workstation Interface allows your mammography reading workstation to talk to your MagView workstation. When a patient is opened for reviewing in your digital image reading workstation, the same patient is opened up in MagView, and vice versa. You can use whichever worklist you prefer to drive your workflow and rest assured that the right patient will appear on both systems. 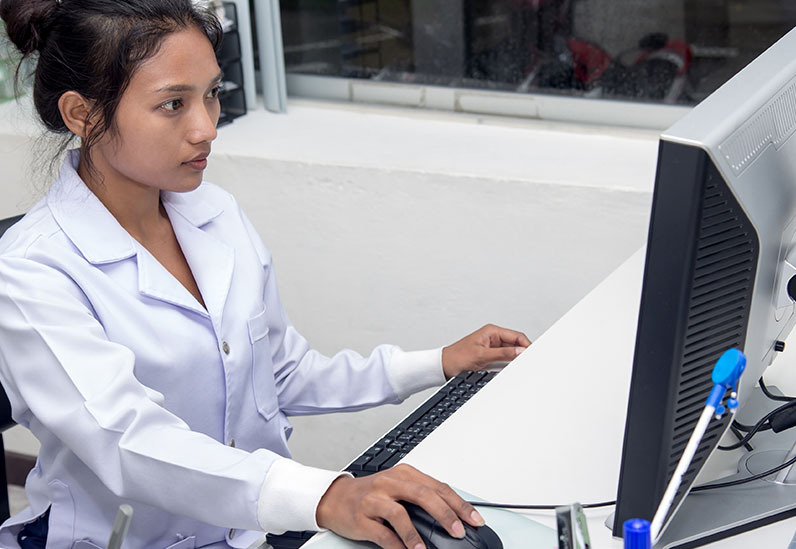 When combined with MagView’s Worklist Tool or Workstation Synchronization, the next patient can automatically open even further reducing the time it takes to open and sign each case. The screening pad helps radiologists speed through an entire screening session with minimal computer interaction. The screening pad allows radiologists to generate a negative screening mammogram, including selection of tissue density, with the push of a single button. The radiologist reviews the final text on screen, and pushes Sign on the screening pad. To speed the radiologist screening session, the screening pad automatically chooses all data required to fulfill your MQSA Medical Outcome Audit. Beyond quick and easy negative reporting, MagView’s screening pad provides additional keys that can be configured with your site’s most common macros, notes and findings for non-negative results, such as: benign calcifications bilaterally; additional evaluation for mass; no change since prior; and prior films for comparison. When using the screening pad, the radiologist is taken directly to the results preview without the need for additional clicks. As choices are made on the screening pad (e.g., macros, tissue density, notes), the radiologist can see the final result instantly without the need to click to the next screen. If everything looks good, click the Sign button and move on to the next patient. MagView’s Workstation Interface allows your mammography reading workstation to talk to your MagView workstation. When a patient is opened for reviewing in your digital image reading workstation, the same patient is opened up in MagView, and vice versa. 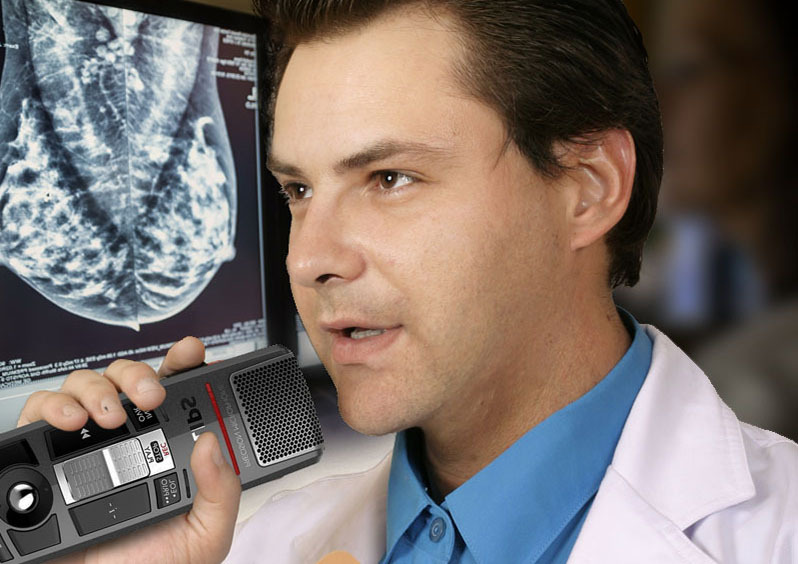 A common cause of dictation errors occurs when a radiologist is looking at the digital images of Patient A, but accidentally dictates on Patient B. With MagView’s workstation interface, your reviewing workstation and MagView workstation are kept in sync. When Patient A is opened in the digital image reading workstation, a message is sent via the interface and that patient is opened up in MagView, reducing the risk of incorrect dictations. Like many of MagView’s products, the workstation interface supports a variety of workﬂows; you can customize MagView’s workstation interface to receive messages from your digital image reading workstation, or you can configure the interface to send messages to your digital image reading workstation – or both. MagView’s workstation interface is compatible with GE, Hologic and all other digital image reading systems that provide this capability. 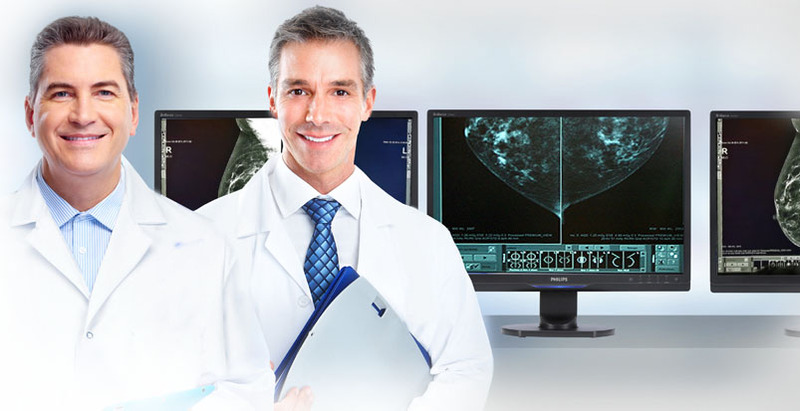 MagView’s workstation interface has been developed in cooperation with our mammography imaging partners such as GE, Hologic, McKesson, Agfa, Philips, RamSoft, and Fuji. MagView’s workstation interface has built-in technology to work with additional digital image reading systems as they become available. Saves radiologist time; patients are opened from a single worklist instead of opening from two lists. Reduces dictation errors caused by different patients being open on different workstations. Interfaces with any network workstation. 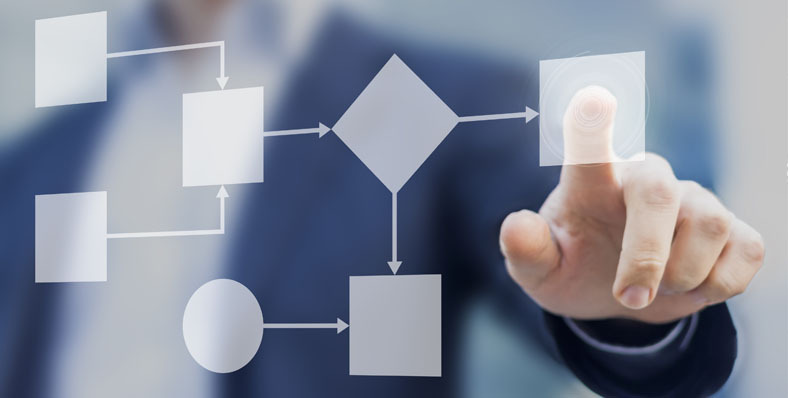 Supports a variety of workﬂows and protocols. Digital breast tomosynthesis is rapidly replacing standard mammography in facilities across the country. Instead of taking only a two 2D views of the breast, tomosynthesis takes multiple slices in one imaging session, allowing for a 3D view of the breast. 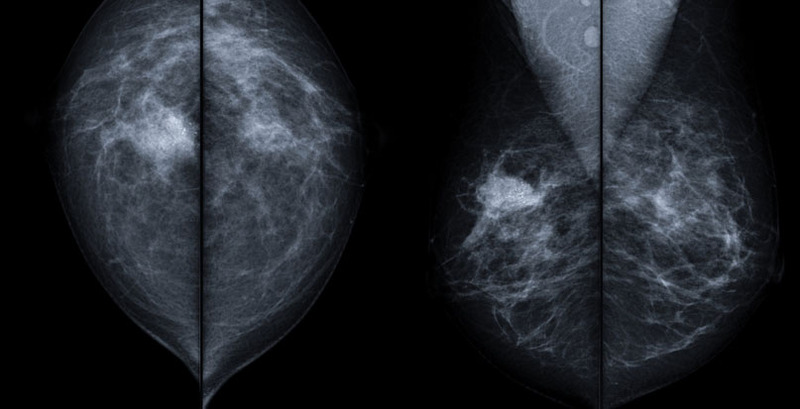 This allows radiologists to better visualize lesions that may have been obscured by dense breast tissue on 2D mammography, and allows for better and more accurate diagnosis. Tomosynthesis has already been shown to cut breast exam recall rates in clinical studies. Many of the large academic centers that use MagView have also been involved in the clinical trials for tomosynthesis. As such, MagView has had early exposure to the changes needed to support reporting on a tomosynthesis exam. 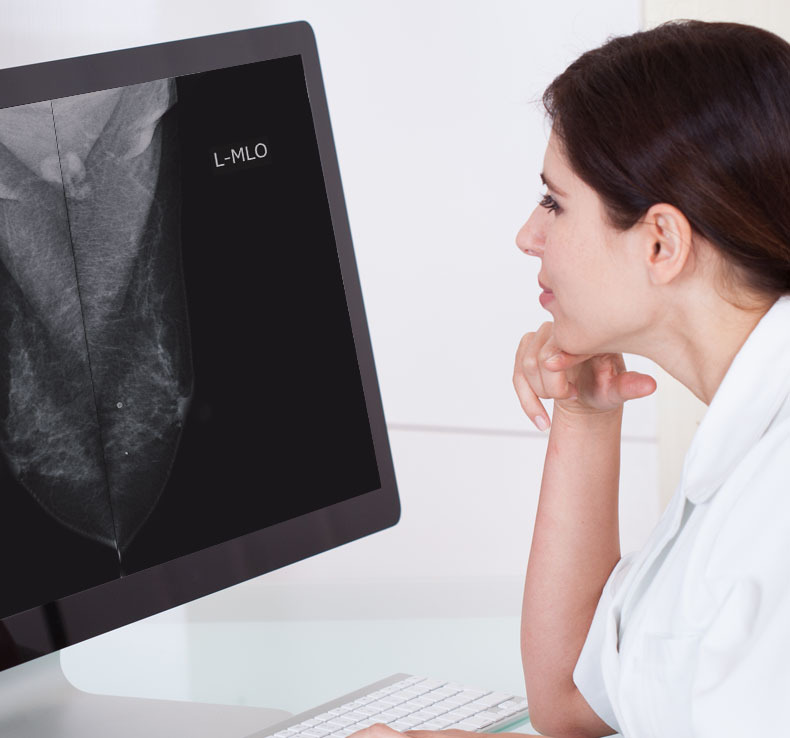 Though very similar to mammography in the types of findings that present, there are some key differences that are necessary to accurately create a structured tomosynthesis report. A number of key features have been made available within MagView to support our customers that are now incorporating tomosynthesis into their practices. LungView was the first comprehensive tracking and reporting system dedicated to the management of Lung Screening programs. With over twenty-five years’ experience as a Mammography Information System, MagView was poised to create a lung screening information system on the leading edge. LungView automatically captures required tracking information to ensure no patient falls through the cracks. As lung cancer screening requirements and accreditations evolve, so will LungView as a proven leader in the patient tracking market. With the increase in concerns surrounding breast density, many tools are now on the market that allow mammography studies to have a volumetric breast density automatically calculated for each study. This information can aid the radiologist, and with MagView Structured Reporting, can drive the tissue density selection A, B, C, or D in an automated way. MagView integrates with all the major breast density vendors, such as Hologic Quantra, Volpara, and iCAD.